Welcome to the MRPA Silhouette Division Web site. Please take the time to look around and become familiar with the sport of silhouette shooting. Promotes organized competitive rifle silhouette shooting among the residents of the State of Michigan. Promotes marksmanship practice and the safe handling of firearms. Promotes sportsmanship and good fellowship among the membership of the association. Supports the conservation and wise use of our wildlife and natural resources. Find places to shoot rifle silhouette in the State of Michigan. Review the state wide schedule of rifle silhouette matches. Maps and directions to the silhouette ranges. Review the MRPA Silhouette Match Results shot at Camp Grayling, MI and other Michigan Clubs. Review the list of past state champions. 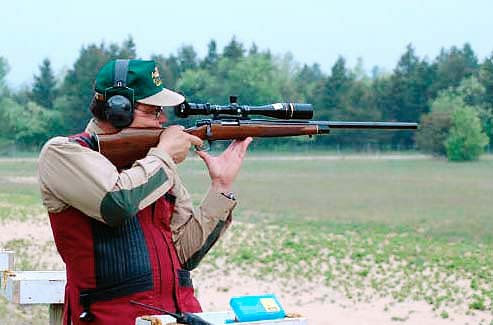 Review the rules governing the game of rifle silhouette shooting. Review supporting articles on reloading, silhouette shooting, and silhouette history. All Rifle Silhouette Matches in Michigan may be listed on this site. Please email the Webmaster if you have any information about additional Rifle Silhouette Matches in Michigan.